Brett is a QLD show jumper competing at local, state, national and international level. He is a farrier in the Cooloola and Sunshine Coast regions with clients in many disciplines as well as the racing industry. Showing and shoeing, importing and breeding, Brett knows that it is only top quality products and equipment which gives horses the best training base for national and international success. Competing at the top level of show jumping, Brett has won and placed highly in World Cups and Grand Prix. 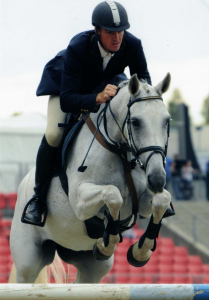 He has been the leading show jump rider three years in a row at Toowoomba Royal as well as being the leading rider and Part A horse at Brisbane Royal for two years. One of his top horses, Holland import Cheezy Z.
Cheezy Z has been leading QLD Grand Prix Horse of the Year for two years. Brett and Cheezy Z have been selected for the QLD elite jumping squad for the third year in a row. 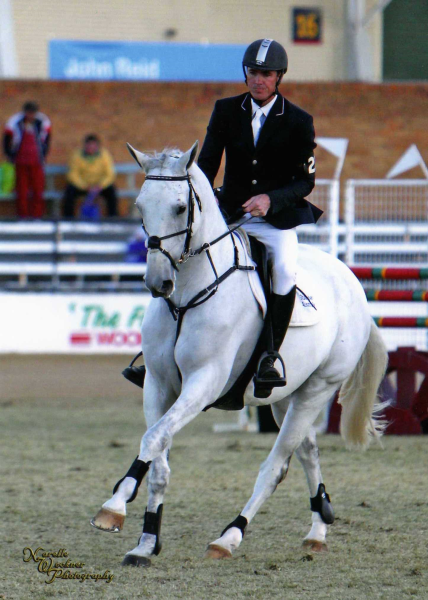 Last year, they competed in New Zealand on the Australian show jumping team at the NZ HOTY and won. As well as Cheezy Z, Brett is competing horses of various ages and levels up to Grand Prix. Over the last few years, the Warrens and owner of Cheezy Z, kim Tenkate have been successful in embryo transfers with cheezy and have some very exciting babies to start with soon, as well as Brett and Aimee breeding their own stock with many exciting future prospects bound for the show jumping world. We have been using Mi-Feed for a while now, with amazing results, our horses have need looked and performed so well. We are now feeding half the amount of feed we used to with pervious feeds and are getting better results. Our horses are healthy, in great condition always shiny and best of all calm and performing with winning results.